Weâ€™re travelling the country through 16 locations across both islands, from Whangarei to Invercargill for Xero NZ Roadshows! Weâ€™re showcasing some of our wonderful partners and small businesses in the centres we pass through. You can check out more of them on the blog, and info about the roadshow on our website. Hereâ€™s a bit about Lisa Mead, from Social Currency. How long have you been using Xero? Iâ€™ve been using Xero for years from working in accounting firms. I chose to use Xero for my practice because I found Xero Practice Manager (XPM) the most efficient method of running my business, as all of my clients are on Xero. Then with XPM youâ€™ve got easy tax returns and workpapers all syncing in together. It was really a matter of efficiency and Xero could provide that for me. I started my company in November last year, but my practice officially launched on 1 September, so itâ€™s still pretty early days. Itâ€™s been growing quite rapidly because my practice is quite different to other accounting firms – I actually give away 10% of my sales to support at-risk Kiwi kids. It has that social aspect to it – itâ€™s called Social Currency. My business is a purpose-driven accounting and business advisory firm with a mission of changing intergenerational statistics around crime, poverty and low educational attainment, for at-risk Kiwi kids. So my proceeds go to in-school programs and supporting charities who are doing work with at-risk kids. They focus on changing mindsets, by improving resilience and self-worth, introducing positive role models, and looking after their health and wellbeing. I think this is really key to changing those intergenerational statistics. Unless people go out there and start doing things, these statistics wonâ€™t change. Thatâ€™s why Iâ€™m doing what I do – 10 cents of every dollar is going exactly in those areas. Is this your first Xero Roadshow? This isnâ€™t my first roadshow but itâ€™s my first one as a practice owner. My favourite part about todayâ€™s roadshow is when Jenene Crossan spoke about the experiences she had in the first few years of her business and how applicable it was to my experience. She showed us itâ€™s not all sunshine and roses, and thatâ€™s okay because thatâ€™s the reality. You have to be vulnerable and honest about the good and the bad in your business journey. Yes, my first eight weeks have been great but Iâ€™ve also had some really crappy moments – and I think learning to cope with those things and adapt to them is really important. Change is inevitable and sometimes you just have to embrace this roller coaster; sometimes itâ€™s up, sometimes itâ€™s down and you just gotta keep going and know that youâ€™re not the only one experiencing this. I think the mentality of â€˜bad things happen but itâ€™s okay and I am going to surviveâ€™ is key to being successful and itâ€™s been really valuable to hear that. What would you say to people considering going to a roadshow? Take the time out and do it. On top of listening to the excellent speakers, youâ€™ve got a whole lot of other accounting professionals coming in that you can network with and you never know what might happen down the track with a relationship you create today. 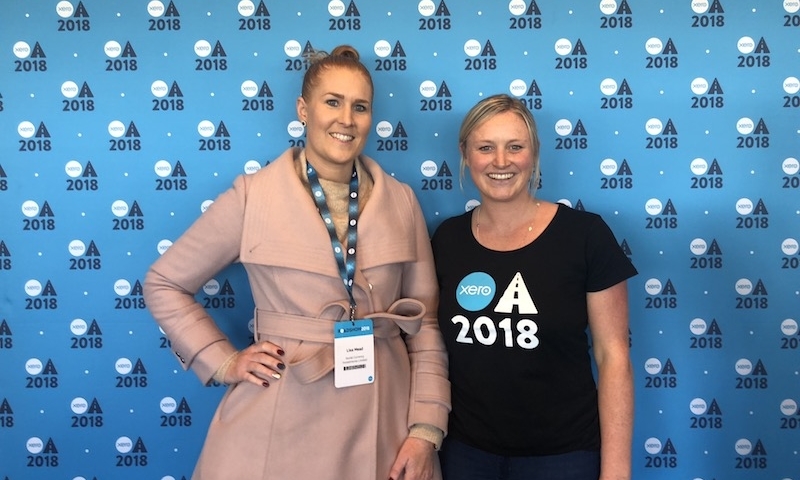 Learning about whatâ€™s going on in the business space through Xero Small Business Insights – not just what Xero can do for you but about whatâ€™s happening in New Zealand and even globally is really important. Especially if you have overseas clients. I think the accounting industry is changing significantly and whether you are a student or have an established firm you need to be willing to change how you do things to adapt. Artificial intelligence is inevitable and we need to be more fluid in how we operate. Everything should be online now, and as an accountant you need to move past just looking at your numbers but to actually be talking about the structure of your clientâ€™s business and advise them on how theyâ€™re operating, apps they should be integrating and how to add value to their business. Weâ€™re more than just the ones with the calculators now. The post Xero NZ Roadshow Profiles: Social Currency appeared first on Xero Blog.